Debt reduction involves negotiating with a creditor or creditors to settle a portion of one’s total debts in an arranged settlement amount. Often, people elect to use the services of the debt reduction company instead of attempting to take action by themselves. 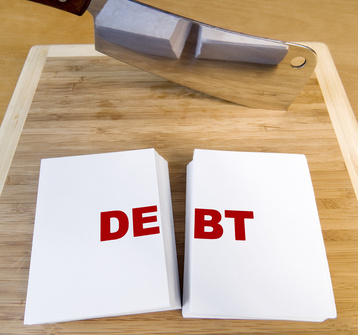 Debt reduction is really a program which may reduce your debts along with your creditors providing you with the opportunity just pay back a fraction of the original balance due. If your consumer files for bankruptcy, it is likely the creditor will receive nothing from the balance which is owed to them. Therefore, a creditor is better off negotiating with a debt reduction company. Most companies assist customers which have legitimate financial problems and honestly need help. The credit card debt reduction process usually takes between 12 months to three years, so consumers can wait for creditors helps to make the sensible decision to agree and negotiate. Besides the obvious good thing about reducing your debts, an additional benefit will be the assistance with creditor harassment. Debt relief companies normally contact all your creditors and tell them that you will be using a debt relief company so you are now represented. This is extremely essential in that it helps minimize or eliminate creditor calls. The conventional practice would be to direct all communication for the debt reduction firm that you are working together with. However, you will need to remain cognizant that original creditors can still contact you legally, but most will comply with such requests. During the process, your family will enjoy a monthly deposit right into a trust account that may eventually become useful for the debt repayment. As funds start to accumulate inside the account, the debt reduction company will start to negotiate together with your creditors. Once a debt reduction offer has been arranged, you need to send that amount, straight from your settlement fund, towards the creditor. After the payment has been made, that debt is considered settled entirely. And also the account will be closed. The National Debt Relief Group can help you find the correct solution using a free consultation. You can fill out our Short Application and one of our debt specialists will contact you within minutes, or you can call now – (888) 703-4948.